Susan Chavez is a blogger for TechSoup's Online Community team. 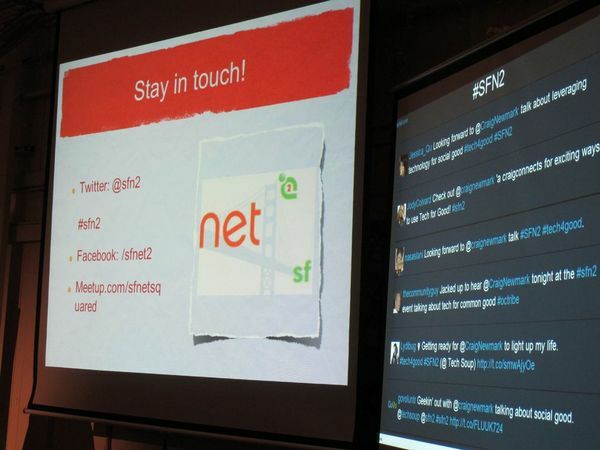 San Francisco NetSquared (Net2) kicked off its 2012 Meetup line up with Craig Newmark, of Craigslist and craigconnects, who talked about using technology for the common good. 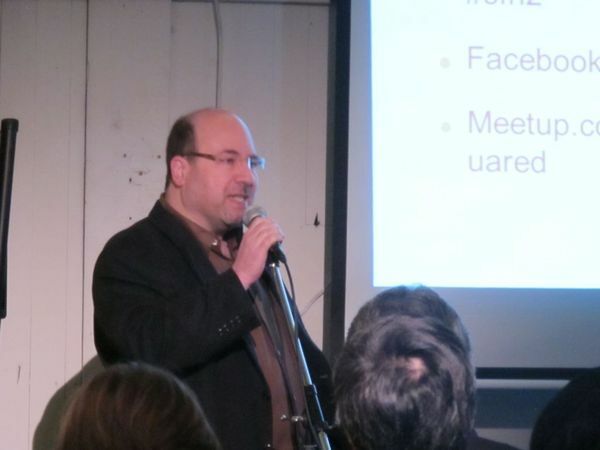 Speaking to the packed house at TechSoup's San Francisco headquarters, Newmark, a self-described nerd, recounted his path from Craigslist to his latest endeavor, craigconnects. Newmark also spoke at length about the potential for good created by technology, why it matters and how anyone can contribute. The growth of Craigslist opened up many circles for Newmark, including that of the nonprofit world. While it would’ve been very easy to use his influence and remain in the world of technology, Newmark went in a slightly different direction. The direction he chose, to help support nonprofits and grassroots causes, drew on his strengths in technology. Newmark’s first foray into the nonprofit world was the launch of the Craigslist Foundation, which itself launched the Nonprofit Boot Camp, but is organizationally winding down after many years of success in connecting social change organizations and technology. Working in this capacity, as Newmark sees it, is naturally aligned with his role as the creator of and currently works customer service representative of Craigslist. 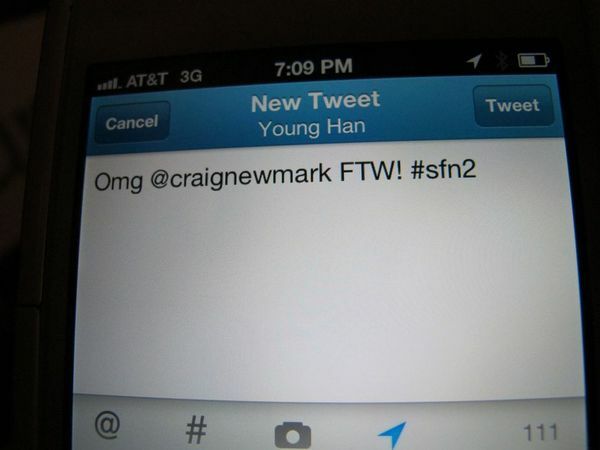 Currently, Newmark has focused his directions on craigconnects. Craigconnects focuses on six core issues: military families and veterans, accurate and honest journalistic practices, public diplomacy, open government, consumer protection, and technology for the common good. The organization has worked on projects such as helping a local Veterans Affairs hospital improve its technological infrastructure to serve veterans more efficiently. Craigsconnect has also supported the Tenderloin Tech Lab, a computer lab that serves low-income and homeless people in San Francisco. Newmark believes in harnessing the power of technology to amplify voices not otherwise heard and redistributing access to power equitably. Much like the printing press, technology has the potential to democratize access to learning and speech. Access to the Internet and social media lowers barriers to supporting causes and organizations. Just about anyone can easily support causes according to Newmark. Helping can be as simple as teaching someone how to use a computer, get online or help build a Facebook fan page. By way of example, Newmark shared how he uses Twitter to mostly tweet and retweet in support of causes and organizations he feels strongly about. Technology provides an opportunity to generate grassroots solutions and to judge what solutions are working best. Methods for measuring effectiveness matter because 501(c)(3) status isn't enough to indicate an organization is really fulfilling its mission. And not to let the audience off the hook, Newmark good-naturedly advised to “be as transparent as you can be without doing something stupid." Newmark closed by sharing his vision, “that ordinary people working together en masse are going to change the world in this decade.” That vision, coupled with the energy in the room, made for a great ending to the night and a good outlook for 2012.